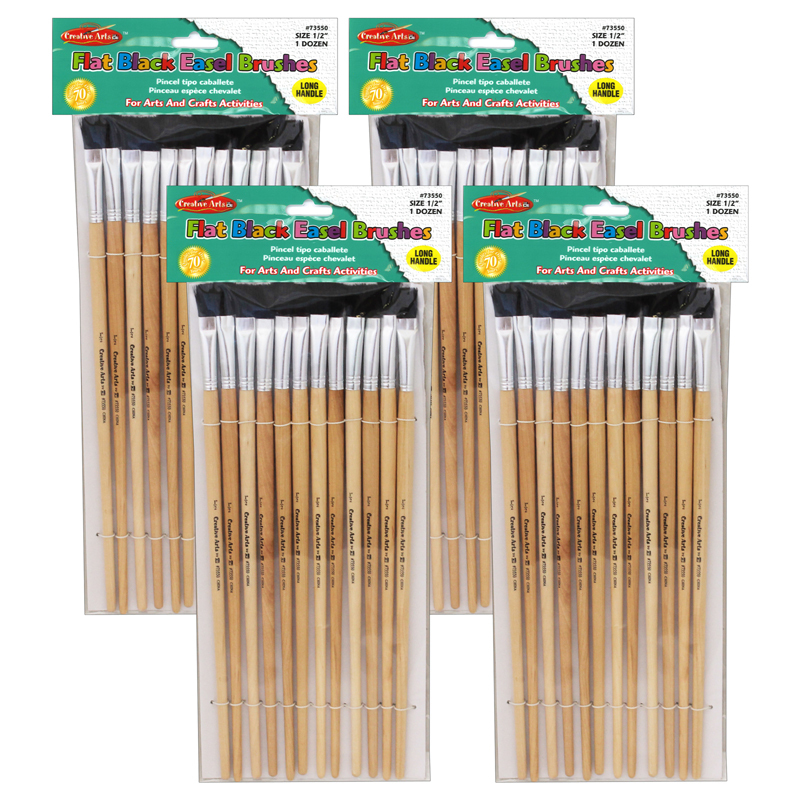 Four round, all-purpose arts and crafts paintbrushes for a variety of broad stokes and fine details. 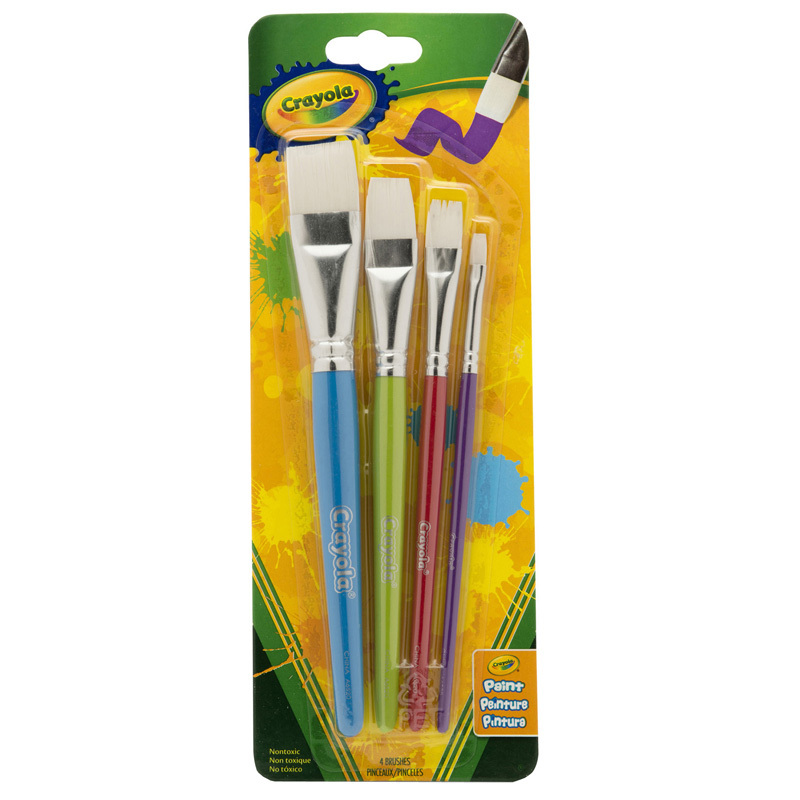 The brushes feature brushed silver ferrules and wooden handles that are a good fit for kid-size hands. Each handle has its own vibrant color. Features white Taklon bristles to show paint's true color. Soft and shed-resistant for smooth strokes. Each pack includes 4 brushes. Sold as 4 packs for a total of 16 brushes. 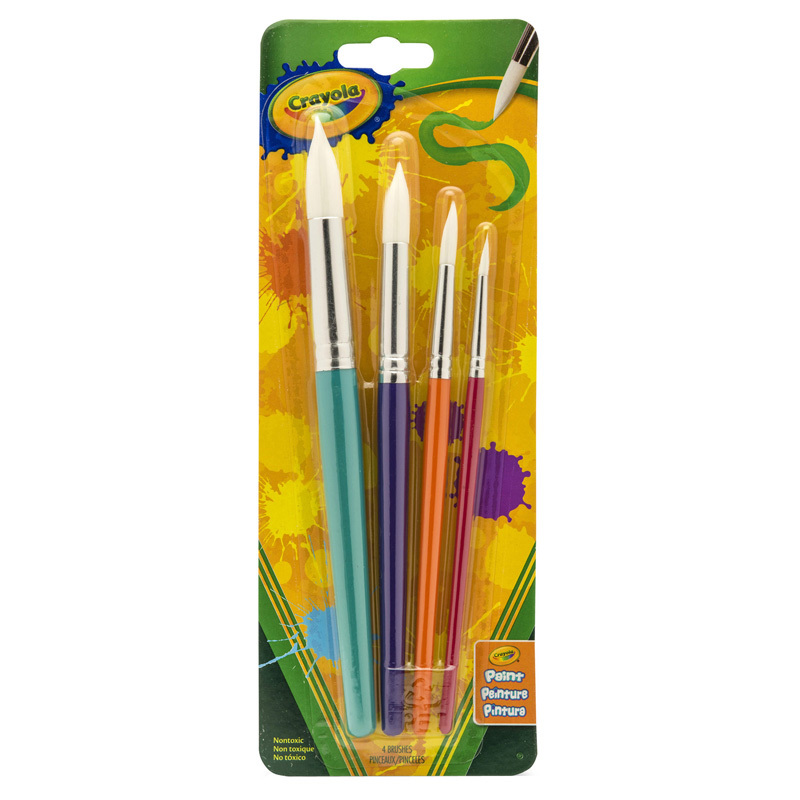 The (4 Pk) Crayola Big Paintbrush Stround 4pk can be found in our Paint Brushes product category within the Arts & Crafts. Fine grade natural black bristles. Seamless polished aluminum ferrules are double crimped to handles. Natural hardwood handles feature lacquered finish. Each pack includes 12 brushes with flat, 1/2" wide bristles and a long handle. Sold as 4 packs for a total of 48 brushes.